Q. I am a 50-year-old woman. I have noticed depigmentation and itching around a mole, as well as a few new moles. What causes moles to form and grow, and is there anything that I can do to minimise the discoloration and itching? I have also noticed the veins on the palm, back of hand, wrist and ankles are starting to "pop". Is this normal? A. Moles often appear as small dark brown spots and are caused by clusters of pigmented cells. A mole with a zone of depigmentation surrounding it is called a halo mole - there is a white ring, or halo, around it. It is a benign skin lesion. A full skin examination should be performed by your dermatologist if you have a halo mole as, on rare occasions, it can be triggered by a cancerous melanoma elsewhere. Your visible veins are probably due to varicose veins. This occurs when valves that control the flow of blood through the veins become weak, causing blood to pool inside. This causes the blood vessel to swell and contort, becoming visible just beneath the skin's surface. In traditional Chinese medicine (TCM), the halo mole and varicose veins can be traced to problems in the spleen, liver and kidneys. The spleen governs the limbs. It transports and transforms nutrients into qi (vital energy) and blood. Chronic diseases, over-exertion, alcohol consumption and smoking can weaken the spleen. Nutrients are therefore converted into phlegm and dampness, causing greyish brown moles surrounded by a white or light pink halo. One may also suffer from localised varicose veins that appear like messy ropes. The liver stores blood and regulates qi circulation. It can be weakened by negative emotions. This causes the liver qi to stagnate, giving rise to dark brown or red halo moles and varicose veins with numbness of the legs. According to TCM, the kidneys manufacture blood. Ageing, keeping late nights and chronic ailments can weaken these organs. This cripples their ability to produce enough blood, leading to dark brown moles with a milky-white halo, and varicose veins with dry skin. A general lack of qi and blood may also explain your problems. Insufficient blood can create internal wind and weaken the skin's defences. This makes it easier for pathogens like wind, cold and dampness to attack the skin. Mildly itchy moles with a pale reddish halo can result from this, and the person may also have varicose veins shaped like earthworms. The combination of injury, prolonged negative emotions, accumulation of phlegm and dampness, chronic illnesses and long hours of sitting and standing can weaken qi and blood circulation too. 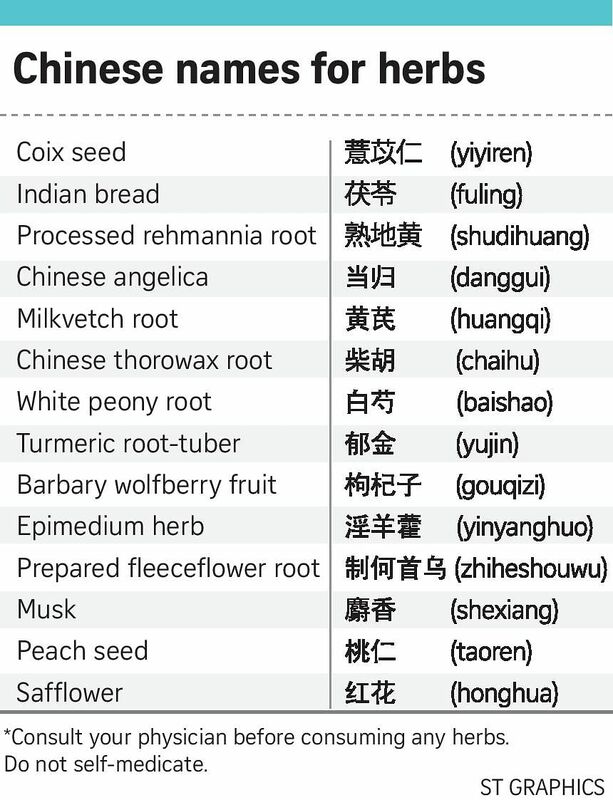 Chinese herbal medicine such as coix seed can help you to fight against wind, cold and dampness. To boost qi and blood, take processed rehmannia root, Chinese angelica and milkvetch root. Chinese thorowax root, white peony root and turmeric root-tuber are beneficial for the liver. The kidneys can be strengthened with barbary wolfberry fruit, epimedium herb and prepared fleeceflower root. If your problem is linked to blood circulation, try musk, peach seed and safflower. In addition, do self-examinations of your skin every month. Look for moles with irregular shapes, irregular, notched or scalloped borders, as well as moles that change colour, have many colours or uneven colour. Also, be alert if your moles change in appearance over weeks or months, or if you notice growths that measure more than 6mm across or are evolving. If you have many moles or unusual-looking moles, you may want to get them checked by a dermatologist. To minimise varicose veins, wear special compression stockings if you intend to sit, stand or walk for long periods without rest. At night, elevate your feet about 15 degrees above the bed and keep your legs warm. Applying light massage and acupressure on your hands and legs will also help to enhance the qi and blood circulation.